Knock on. Flip through the enchanting encounters that shaped the decades this legendary costume jewelry designer dazzled in the limelight. 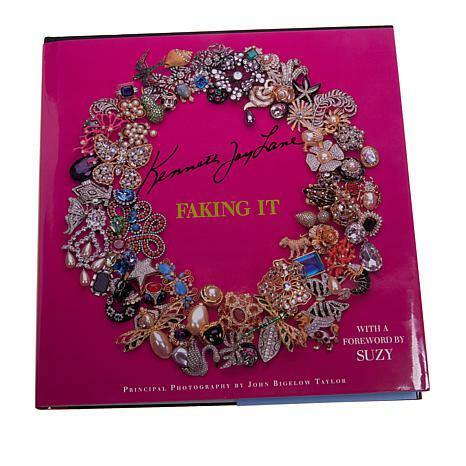 Glossy pages shine a light on Kenneth Jay Lane's links to fashion insiders, silver-screen stars, beloved royalty, political luminaries and socialites galore. An odyssey that begins in Lane's hometown of Detroit, beelines to New York City and winds around the globe, Faking It is an exuberant read made to delight the audacious sophisticate in us all. Book Weight: Approx. 2 lbs.